How challenging is learning to Flyboard? The flyboard truly is a very intuitive water toy. The reason it has become such a popular family fun experience is because everyone in the family can do it. Just like anything, your a bit wobbly for the first 5mins. Once relax, learn to embrace it and listen thoroughly to your instructor you’ll be up and rocking. How challenging is learning the Jetpack? The Jetpack is the fun, futuristic James Bond pack we always new would arrive. That being said, it is a bit more challenging than the Flyboard to learn. Maneuvering the direction of your body with your hands is a slightly foreign feeling for us. But with a little patience, keen listening to your instructor, most people are up within 5-10mins and comfortable walking on water (literally because your feet are free!). Ogopogo in the water below is the most dangerous part of this experience (just kidding, he’s friendly). But seriously, we have safely shared this experience with around 2,500ppl. We work with every individual person to their comfort level. What is important to understand, is that we control the amount of power/height you have to play with. Your first few minutes on the flyboard/jetpack you are hovering very low to the water until you get your balance and both the instructor/flyer are comfortable in slowly moving you a little higher (if you wish). Short answer. For either activities, minimum recommended age is 12. This is more due to a size factor. Everyone is working with the same size Flyboard or Jetpack so it becomes more difficult to maneuver the smaller you are. However, great things come in small packages and we’ve seen some superstar small riders! In the heart of the beautiful Okanagan Valley in downtown Kelowna. Right by the sails statue, across from Craft Beer Market and beside the new Tourism Kelowna building. You’ll see a kiosk at The Downtown Marina that says “TICKETS” in big bold letters. We are located in the window closes to the dock. Great question! There are multiple lots all around our location so that will not be a problem. Tourism Kelowna has a lot right next door, street parking or in front of city hall. Those are just a few options. A super hero attitude. A smile from ear to ear. Friends, lots of friends. Besides the obvious, already listed, all you really need is your bathing suit and a towel. We will provide wetsuits, helmets, life vests and an experience you won’t soon forget! The more the merrier! We can accommodate large groups but we need to assemble our awesome crew so booking in advance it ideal. Flyboarding is easier with larger groups as it can be picked up quite fast. Thought we will not say no if your heart is set on the Jetpack. Yes. 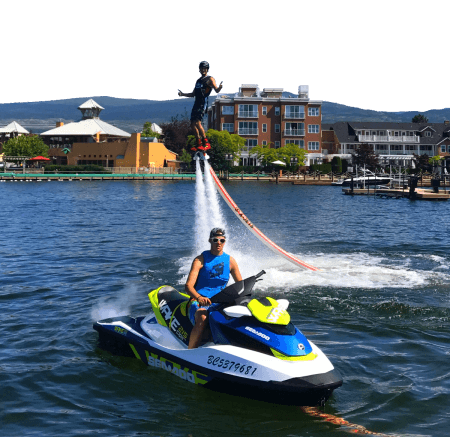 We do many off-site Flyboard & Jetpack events every year for birthday parties, bachelor parties, family gatherings, etc. There is a surcharge for travel depending on how far your dock is. Just let us know the date, particulars and we can customize to any affair. 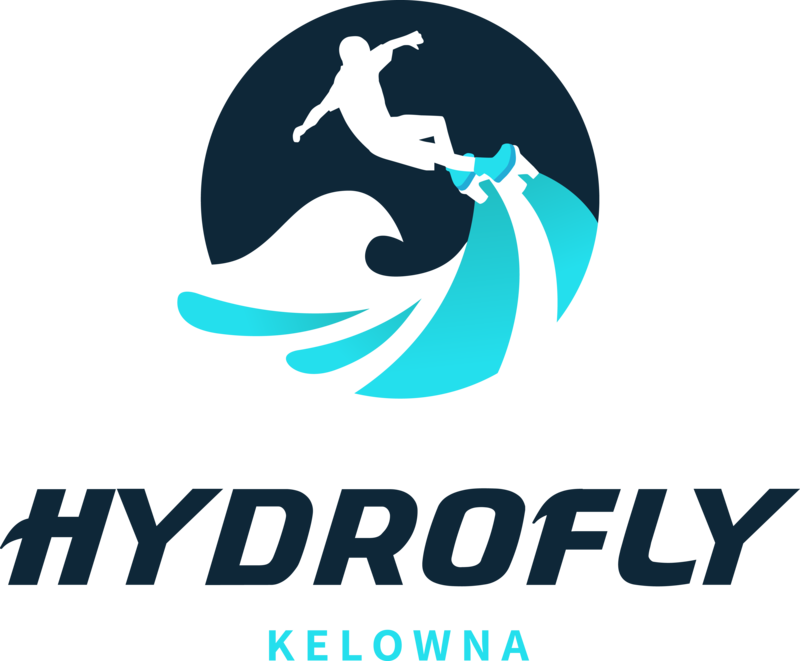 We put together the ultimate Hydroflight shows as we have some of the top athletes in the world in our arsenal. Imagine darkness, all the sudden you see these mythical creatures rise out of the water light up in LED suits with jets on their feet. Then they rise higher and higher and spin, twist and flip. That is our night show in a nutshell. Daytime we do fun costumes, can up the anti on tricks (as we can see what we are doing) and as always can cater to any occasion. Shoot us a message on a price to add this as a unique add-on to any event. Our Hydro-Family prides itself in bringing this flyboarding experience to others. With safety and fun as our top priorities, our biggest reward is watching our new friends leave on a high that they will feel for days to come. 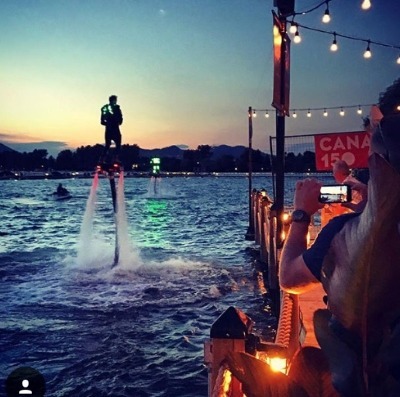 Our LED suits and flyboards, against the night sky, paired with music have made for countless fun evening for families and friends to gather and enjoy on the boardwalk.